National Academy of Engineering recognizes Leung and Lercher. 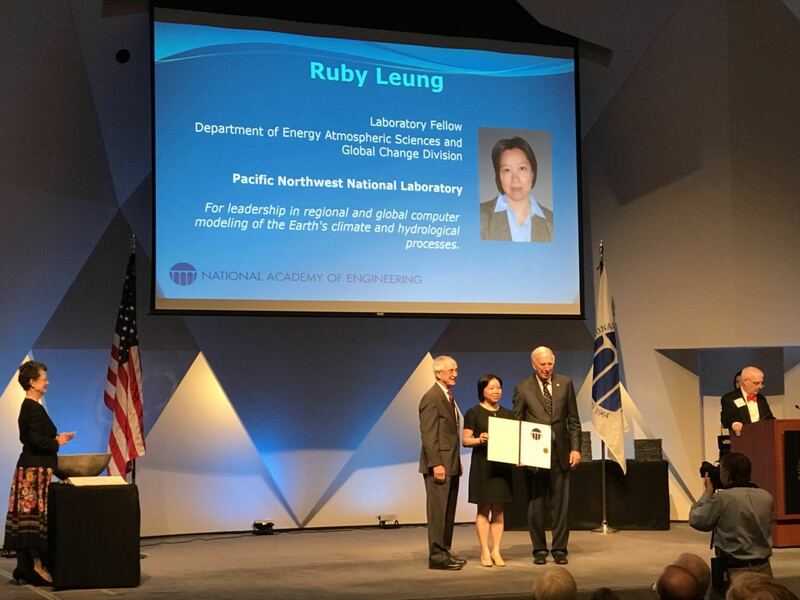 National Academy of Engineering recognizes Ruby Leung. RICHLAND, Wash. — Two researchers at the Department of Energy's Pacific Northwest National Laboratory have been elected to membership in the prestigious National Academy of Engineering. Ruby Leung and Johannes Lercher are among the 106 new members elected worldwide to the 2017 class. The NAE is a private, independent, nonprofit institution that is part of The National Academies of Sciences, Engineering, and Medicine. NAE focuses on maintaining a strong engineering community and bringing together experts to provide independent advice to the federal government on engineering and technology challenges. 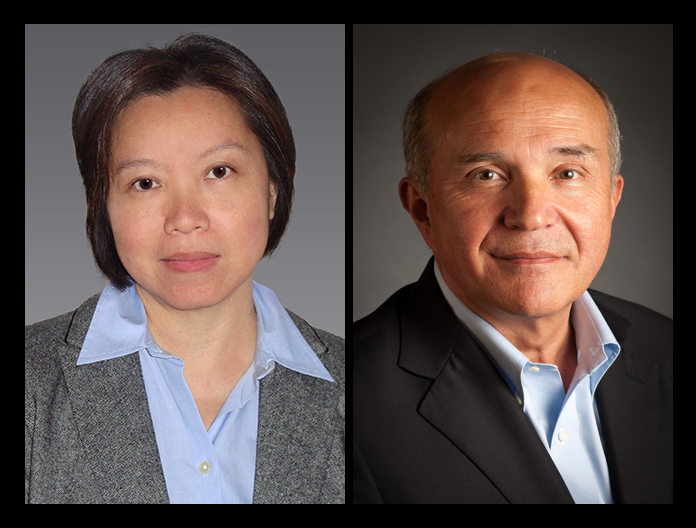 Lercher and Leung join emeritus staff member Subhash Singhal, who is a National Academy of Sciences member, as PNNL researchers in the National Academies. "I am thrilled that the exceptional contributions of two of our researchers have been recognized by the National Academy of Engineering," said PNNL director Steven Ashby. "Membership in the NAE is among the highest honors that a researcher can achieve, and Ruby and Johannes are most deserving. Congratulations to both of them!" Ruby Leung is an atmospheric scientist at PNNL and also an affiliate scientist at the National Center for Atmospheric Research. She was elected based on her leadership in regional and global computer modeling of the Earth's climate and water cycles. Leung's research has advanced understanding and modeling of the regional and global water cycles, with implications for managing water, agriculture and energy. She has organized key workshops sponsored by environmental agencies, served on panels that define future priorities in climate modeling, and has developed computer climate models that are used globally. She has published more than 200 peer-reviewed journal articles and is a fellow of the American Association for the Advancement of Science, the American Geophysical Union and the American Meteorological Society. She earned a bachelor's degree in physics and statistics from the Chinese University of Hong Kong, and a master's degree and a doctorate in atmospheric science from Texas A&M University. Johannes Lercher is a chemist and holds a joint appointment at PNNL and the Technische Universität München in Germany. At PNNL, he serves as the director of the Institute for Integrated Catalysis, and at TUM he is a professor in the Department of Chemistry and holds the chair of the Institute for Technische Chemie. He was elected based on his catalysis research, which focuses on the details of how catalysts work at the elementary level and using that insight to design and build better catalysts for industrial applications, including cleaner fossil fuels and renewable, biology-based fuels. He has published more than 500 peer-reviewed journal articles, is editor-in-chief of the Journal of Catalysis and was previously elected to the Austrian Academy of Sciences, the Academia Europaea and the European Academy of Sciences. He has won numerous awards, including the David Trim and Noel Cant Lectureship given by the Catalysis Society of Australia, the Eni Award for energy research, and the Francois Gault lectureship of the European Association of Catalysis Societies. He earned undergraduate and graduate degrees, as well as a doctorate in chemistry from the Technische Universität Wien, Austria. The newly elected class brings the NAE's total U.S. membership to 2,281 and the number of foreign members to 249. 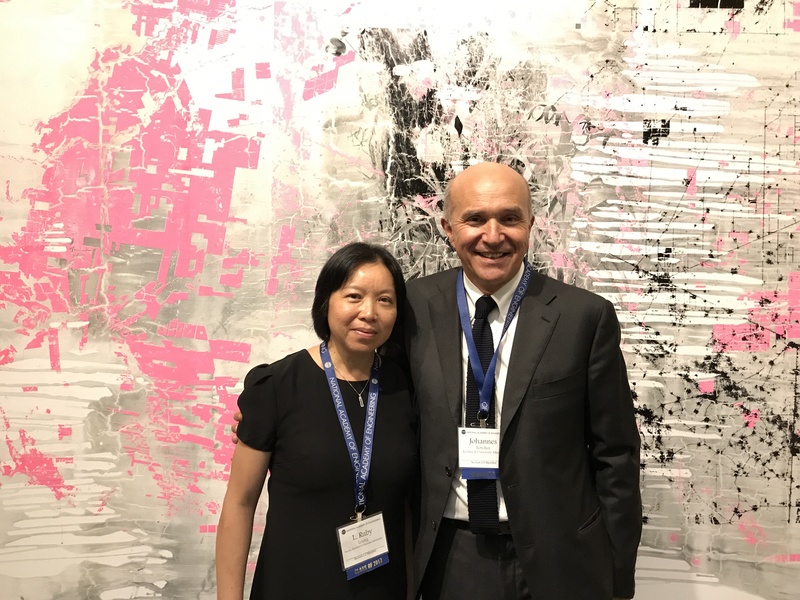 Lercher and Leung will be inducted at a ceremony in Washington, DC in October. UPDATED (Oct. 11, 2017): Ruby Leung and Johannes Lercher were recognized for the achievements described above at the National Academy of Engineering Annual Meeting held October 8-9 in Washington, D.C. Photos from the meeting are shown in the image carousel.